There’s a dizzying trend among travelers nowadays, whereby they’re ditching the selfies sticks and hiring professional photographers to follow them around on their travels instead. This trend is especially popular among those traveling to celebrate a special occasion, like an anniversary, honeymoon, or a family reunion. Avoid any out of focus, grainy or overexposed pictures. In short, a professional delivers pictures in high definition and superb quality as they’re able to adjust the level of exposure and lens speed to fit the time of day. Get everyone in the picture. It’s often difficult to capture pictures of a large group of friends using a selfies stick. This often means that at least one person will be left out as they’re taking the picture. A photographer will be able to capture everyone in a group shot, and it won’t be from a strange fisheye angle. Fast paced photography. Capture yourself in a fast-paced activity, like diving, surfing, bungee jumping or skydiving without worrying about whether your photos turn out blurry. There will be someone to immediately capture you having fun, no matter how fast you’re going. More natural expressions and pictures. You don’t have to stop what you’re doing and pose for pictures anymore. Having a photographer along with you means that you can capture yourself having fun in the most natural way. Capture more of the scenery and less of your face. Selfie sticks just don’t cut it when you need to capture yourself with an amazingly scenic background. You’ll often end up with too much face and not enough scenery. A photographer’s lens will be better equipped to capture large scenic images, with you inside. Get some local insights. The photographer that captures your holiday pictures will be a local and will, therefore, know the best places where you can be photographed. They’ll be the best people to guide you to that obscure spot where you can get the best backdrops and lighting, and where it’ll be less crowded. You get to pack light. Hiring a local photographer means that you don’t have to pack a whole bunch of photography equipment and you can leave your selfie stick at home. Stay safer on your holiday. You’ve heard all those horror stories where tourists step off a dangerous edge and fall as they’re fixated on their phones to take a selfie. Some may not be paying attention and get their phone stolen, or get into an accident. No selfies sticks and phone means you can pay attention to where you’re going and save yourself from any trouble. Enhance your social media account. While everyone else is posting up their holiday selfies, you can stand out by posting quality photos of yourself at a level that is more aesthetically pleasing. Capture your special moments. This is especially true for those on holiday to commemorate special occasions. Not only will you get quality pictures, you’ll be able to immortalize them for the next generation. Therefore, you don’t just want a photo that captures images, but one that captures the emotions of the moment as well. If you’re wondering where you can find the best photographers to accompany you and immortalize your holidays, why not explore some of the options available here on WanderZoom. You’ll be able to pick and choose your photographer, as well as your time and location easily and without any fuss. This is probably a traveler’s worst nightmare, being in a strange and unfamiliar place where you don’t know anyone and probably don’t speak the native language, and then suddenly, you’re robbed of your precious belongings. There goes your wallet, your ID cards, credit cards and more importantly, passports. Although the police may not be able to recover your belongings and in some cases, may not even be able to apprehend the thief, you need a police report in order to proceed with the application for a new passport and other personal documents when you return home. A police report is also necessary for claiming travel insurance. Find a way to reach your embassy or high commission where you will be able to apply for temporary passports or travel documents. This is necessary for you to leave the country and return home. Most embassies will push you to the front of the line if you are requesting emergency passports. Find the nearest internet café, or try to borrow a computer with internet connection and cancel your credit cards, phone sim and other bank related cards as soon as possible. This will prevent unknown expenditures being charged to you and complicating the situation. The earlier you contact your insurance provider and forward them a copy of your police report, the faster they can process your claim and reimburse you for your loss. Certain travel insurance will wire you some money once they have confirmed your case so that you can pay for flight tickets and other minor expenditures. One way you can achieve this is by contacting anyone from home to wire you some money via the Western Union. If you fail to contact anyone, then the best option you have is to explain your situation to your embassy and have them arrange a flight back home for you immediately or tide you over until your pre-arranged flight is due. You may have to repay any cost you incur with your embassy at a later date. In any situation, it is important that you do not lose your cool. Remember that there are people who are willing to help you. You should also take the necessary precautions to prevent theft while you’re abroad in the future. When someone thinks about Southeast Asia as their holiday destination, they often want to visit beautiful beaches or tropical spots and enjoy the wonderful warm weather or try local cuisine. Not many tourists realize that Southeast Asia is the location of some of the world’s best theme parks. 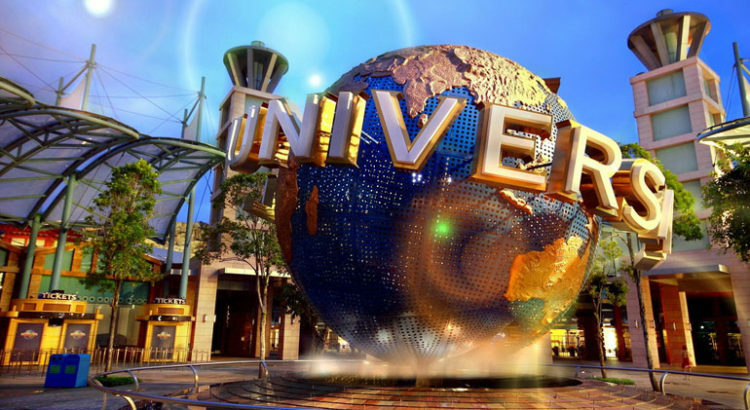 Singapore’s most popular theme park features a whole bunch of rides and attractions from movies made by Universal Studios themselves. The park is divided into many different zones, with interesting names like Hollywood, Sci-Fi City, New York, Ancient Egypt, Far Far Away, Madagascar and the Lost World. Enjoy their main attractions, like Battlestar Galactica: Human vs Cylon, which is a dueling rollercoaster, not for the faint of heart. A short drive north of Singapore will land you in one of Malaysia’s premier theme park attractions in Iskandar, Johor. Here, you’ll find more than 40 attractions built from Lego bricks and you’ll be able to spend hours taking pictures and interacting with various Lego-based figures. Legoland also houses a mini water park with various slides and pools. The interesting thing about this amusement park is that it is built on an island that used to house a jail. Nowadays, it is a bustling tourist attraction that you can reach by a cable car ride. The park houses a dry and wet section, and the water park section features various slides and pools like a wave pool and a lazy river you can just float down leisurely. There’s also an underwater aquarium where you can watch various local Vietnamese sea life in their natural habitat. Thailand’s popular Dreamworld theme park has many attractions including a water area with a tunnel fountain. There are also plenty of rides where you can get doused, including the likes of the Super Splash and Grand Canyon. 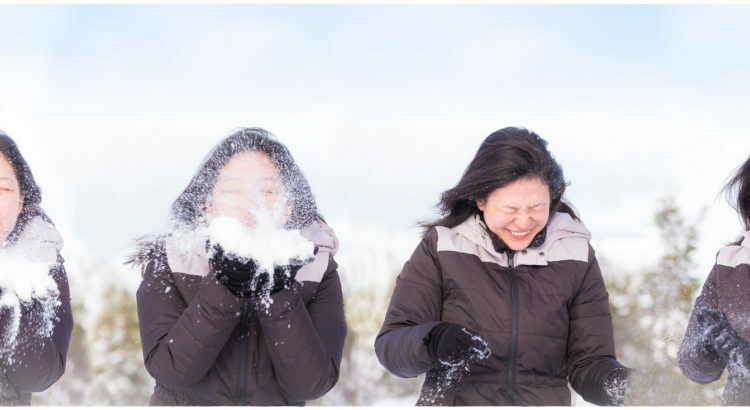 Another reason why people come here is for Snow Town, where you can experience winter instantly, and even play with snow. 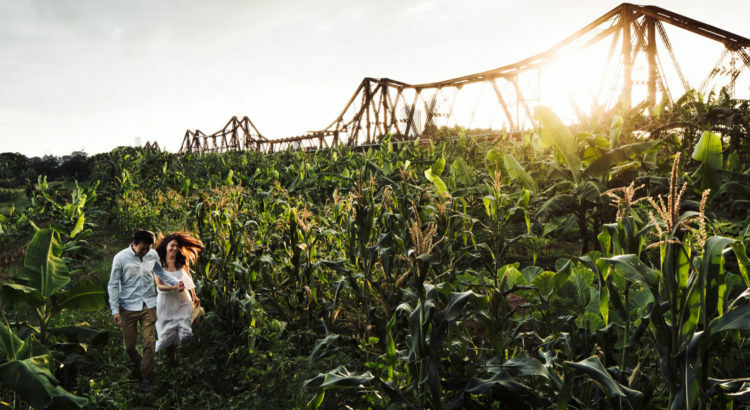 Built on a theme of magic and enchantment, this theme park is located about 39 kilometers outside of Manila. It endeavors to bring the magic of joy and happiness into the lives of both adults, teens, and children with its many attractions. These includes various roller coaster, carousels, bumper cars, bumper floats and even a paintball section. Ancol Dreamland is part of a larger waterfront resort in Jakarta and is divided into several parts, namely Atlantis Water Adventure, Fantasy World and Ocean Dream Samudra. In total, there are 36 attractions including dry and wet rides, as well as shows. The main features here are their marine life shows, including dolphin shows and two beautiful beaches where you can stretch out in the sun. One of the premier theme parks in for tourists and locals alike in the bustling city of Kuala Lumpur is Sunway Lagoon. Apart from the usual rides in the wet and dry parks, you can interact with cute and fluffy animals at their Wildlife Park, and get the scare of your life at the Scream Park. Test your bravery at their long hanging bridge and slide on the Vuvuzela, the largest funnel slide in the region. Manila Ocean Park is an Oceanarium meant as an educational and entertainment theme park where visitors can view and interact with sea life from the ocean and from freshwater estuaries. You’ll also be able to take mermaid swimming lessons and feed animals from Antartica. Visit their special jellyfish exhibit to see the magical world of swimming jellyfish in glowing musical tanks. If you’re in Singapore, you’ll want to give this water park a visit as it has a host of various water attractions for the whole family. With rides like the Slide Up, Torpedo, Professor’s Playground, Shiok River, Tsunami and much more, you’ll be spoiled for choice when you spend time here. Already planning your trip? Remember to book your personal photographer at WanderZoom to capture your fun memories! Honeymoons are actually more exciting than weddings, as they involve you and your other half spending your first few moments alone together as husband and wife. It’s a very personal time and marks the beginning of your lives together. Honeymoons don’t necessarily have to involve romantic candle-lit beaches. It boils down to what you and your partner enjoy. For example, if you are both fans of a certain sports team, you may want to visit that team’s home city. Alternatively, if you’re both history buffs, a heritage city may suit you both better. Apart from saving up for your wedding, you’ll also need to save up for your honeymoon, which is equally important. 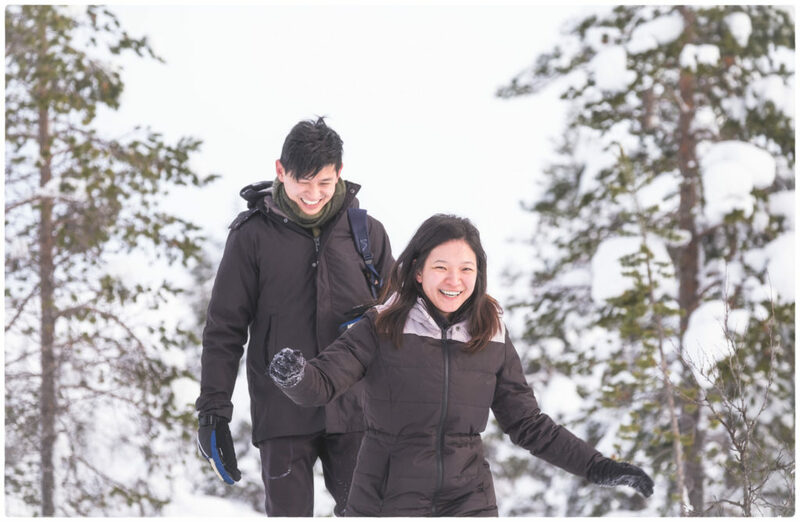 Plan a rough budget by calculating the airfare, lodging, meals, transport, entrance fees and other expenditures you may incur, and then determine how much you need to save each month until your planned trip. Don’t waste another minute, book now! Booking hotels and flights are really easy nowadays, with plenty of online sites where you can purchase tickets and pay for hotel rooms. You can even read a tonne of reviews from previous customers so that you can be absolutely sure you won’t be conned, and that you get the best deal out there. Rather than just staying in one place throughout your honeymoon, try to stay at different cities or towns. 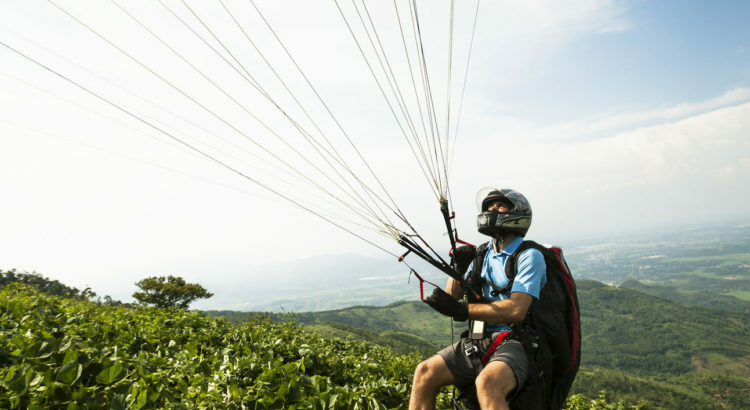 Balance out your trip with activities in the city and off the beaten track with more outdoorsy stuff. Go on a couple’s bike tour across the countryside, or mountain climbing and white water rafting. Surprise your partner during the trip by secretly planning an unexpected sunset viewing or dinner on a rooftop. What’s even better, call their company and extend their leave so that both of you get to spend more time together. If you feel overwhelmed having to plan for your honeymoon as well as your wedding, you might want to consider outsourcing your honeymoon plans to a trusted travel agent. However, make sure you communicate clearly what you want and check on the planning progress from time to time. Since you’ll probably only have one honeymoon all your life (and maybe a second one several decades down the road), it’s important to immortalize all your sweet memories. You can always depend on us here at WanderZoom to help capture your most romantic honeymoon moments, so that you and your children, as well as your children’s children, get to appreciate and enjoy them for years to come! Travelling with Kids? Here are 10 tips for you! There’s no doubt that travelling with your children is a much more challenging experience than say, travelling alone or as a couple. For starters, you have to pack a whole lot of extra things and secondly, you’ll have to manage your child if they become difficult and throw tantrums. Pack an extra bag that has all the essentials your child needs, like diapers, milk bottles, snacks, toiletries and wet wipes for easy access on flights and other vehicles so that you don’t have to rummage through your main luggage bag. When travelling with children, it’s never advisable to have a tight travelling schedule. Children may need more toilet stops, or cleaning stops as they may spill or soil themselves on the way. So plan for a versatile tour and travel period, as well as budget extra time for emergency stops. There will definitely be periods in your trip where you’ll have to wait for taxis, flights, buses or anything else. Keep your children occupies by packing their favourite books , games or toys so they’ll not be bored and run around. Instead of putting an unsightly leash on your child, why not purchase an electronic child locator which can be clipped onto your child’s waist and be detected by an app or a special transmitter that will sound the alarm and allow you to locate your child. Despite the strong desire to expose your children to the local culture, you should avoid letting them eat food from places with questionable hygiene. Stick to clean restaurants or cafes where they serve local food if you want your children to have a taste of local culture. Older children love to have a say in family matters, so get their opinion on things like hotel choices, destinations to visit and dishes they may want to try. This will also prevent them from sulking and throwing tantrums saying that they don’t want to move. If you’re going on a trip to nature reserves, be sure to either pack long-sleeved tops and long pants or bring anti-bug spray. This is important to protect your kids against diseases too. If your kids are travelling by air or rail for the first time and you don’t know how they will react, it’s time to pack some support materials, including wet wipes, a paper bag and lots of comforting words. Put every clean set of clothes in a separate plastic lunch bag or doggy bag. You can reuse these bags to keep dirty or soiled clothing, as well as diapers too until you can find a place to dispose of them. Of course, if you’re going to a temperate country, packing enough clothes for your kids to withstand the cold weather is a given. However, even if you’re just taking a flight, it can get pretty chilly up in the air, so a jacket or coat will be necessary. You will definitely agree that kids do grow up very quickly. So, the next time you are planning for a family vacation with your little one(s), head over to WanderZoom, book a photographer and capture those precious moments! Solo travelling is definitely different from travelling with your family or friends in a large group. The foremost concern is, of course, personal safety and somewhere that you can travel on a budget since you can’t split the bill. Boracay is known for its white beaches that have crystal clear waters and sand so fine it floats in the wind. Apart from various water sports, you can also enjoy shopping at the local markets. Bali stands out as a destination island that is rich in culture and artwork. Here you’ll be able to witness a unique form of Hinduism not practiced anywhere else. Watch traditional plays and dances, and visit intricately carved temples for that unforgettable vacation. If you want to avoid crowded beaches and busy touristy resorts, then this is the option for you. It’s a lesser known beach getaway in Thailand that few tourists know of, so you can have a peaceful and quiet holiday. Vietnamese destinations like Hoi An are dream destinations for solo travelers due to the abundance of comfortable yet cheap lodgings. Apart from that, there are tons of easily assessable and delicious street food like Banh mi, a traditional Vietnamese sandwich. Apart from the relatively untouched beauty of its beaches, Langkawi is also famed for its interesting folklore. Visit the grave of Mahsuri, an innocent woman accused of adultery as well as Pulau Dayang Bunting, a small island off the main one that is said to be the final resting place of a pregnant palace maiden. Siem Reap is home to the famous Angkor Wat temple complex that is one of the oldest structures in the region. The area surrounding the massive temple is full of affordable places to stay, as well as many shops selling local products. Experience historic Laos in Luang Prabang where there are ancient temples dating back hundreds of years. Every morning at dawn you’ll be able to witness a parade of monks out to collect alms from the locals. You can also pay a visit to some of the stunning waterfalls in the area, which also good for trekking and biking. Palawan’s bluer than blue lagoons are the perfect place to relax, unwind and enjoy the splendor of nature. There are several marine parks where you can experience seeing coral reefs and dolphins. To experience the true rustic lifestyles or rural Thais, one must be willing to go off the beaten track. Located outside Chiang Mai, Pai is a place where you can blend seamlessly into village life and pay a visit to the awe-inspiring local waterfalls. Visit this island city if you want a taste of a modern and fast paced metropolitan. Getting around the island is easy and cheap with its extremely reliable MRT trains. Pay a visit to nearby Sentosa island for some fun theme park entertainment. Whenever anyone mentions festivals, people immediately think Mardi Gras or Burning Man in America, Holi in India , The Carnevale in Venice Italy, and the Pamplona Bull Run in Spain. Few visitors to Southeast Asian countries know that there are plenty of interesting festivals and celebrations they can join in. Festivals are one of the best ways to connect with local people and immerse yourself in their culture. 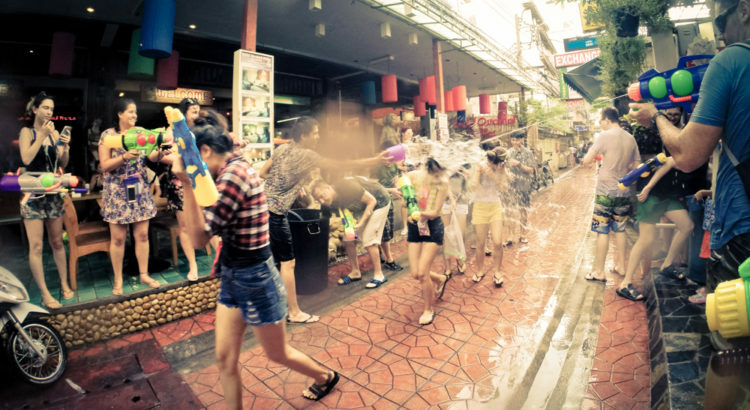 The Thai New Year is celebrated in a one of a kind way in Thailand during the month of April each year, where people drench each other in water to ‘bless’ one another, turning the streets into an all out friendly water battle zone. Visitors are more than welcomed to join in the fun, as long as everyone keeps it safe and within the confines of the rules, which includes not dousing the elderly and young children. This music festival is one of the largest gatherings of ethnic musicians from all over the world who will beguile visitors with sounds that are rich in tradition and culture. It takes place in August annually and you can expect lots of relaxing sounds that remind you of nature. Taking place in March every year, this modern dance, arts, and performance festival see the gathering of various artists that fuse indigenous Balinese culture with modern international elements. Apart from various dance and stage performances, there are Yoga, dance and music workshops for everyone to participate in. The Boun Bang Fai Rocket Festival is an event where villages all over Laos gather and show off their home made brightly coloured rockets, and the winners are those that can fire the rocket that reaches the greatest heights. Apart from the official competition sessions, there’s a lot of feasting, drinking and general partying going on around the festival grounds. 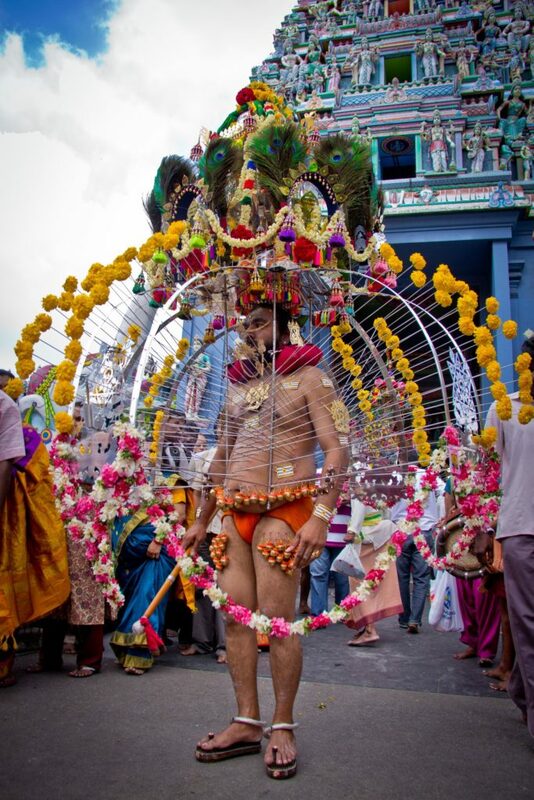 Hindu devotees of Lord Murugan celebrate their deity once a year in Batu Caves, Kuala Lumpur by performing elaborate feats such as piercing their tongues and bodies to show penance and devotion. This site attracts many tourists who also wish to observe other devotees carrying heavy metal frames up the long flight of 272 steps towards the temple at the top of the caves. This month-long arts festival features international performances of the conventional and experimental kind, with performers all over the world showcasing their talents. It also includes performances by talented art troupes and children which are guaranteed to light up your nights in Singapore. If you’re expecting a tame event where Buddhist vegetarians try to sell you healthy meals with lots of meat free products, you’ll be in for a surprise as the actions of the devotees here rival those you see during Thaipusam. Devotees attempt to rid themselves of evil spirits during the festival by indulging in acts of self-torture, including piercing their bodies, walking over hot coals, going into a trance and many more shocking, but utterly interesting acts. Once a year the church of Quiapo in Manila comes alive as thousands of people throng the streets to watch and pay homage to the statue of the Black Nazarene, which is said to hold miraculous powers. Apart from being able to watch this religious procession, you’ll also get to enjoy shopping at all the street stalls that spring up around the festival. Loi Krathong is an almost magical festival which celebrates the Goddess of Water in Thailand and the night sky is lit up by thousands of paper lanterns released into the air, creating a dream-like atmosphere. The Thais also release little boats called ‘Krathong’ into the rivers and waterways as the sign that they release all their worries and sadness. Towards the end of the year, in November, you can take the opportunity to visit Cambodia and participate in the Tonle Sap water festival that ushers in the start of the fishing season. There are regular boat races to watch along the river, as well as fireworks throughout the city. The next time you go for any of these festivals, remember to bring your camera or else hire a photographer on WanderZoom! p/s: If there are any other festival(s) which you would like to share, let us know in the comment section!